Disclaimer: This post is sponsored by REBBL but all opinions are my own. Thanks for supporting the brands that I love. We are in full holiday baking season now. 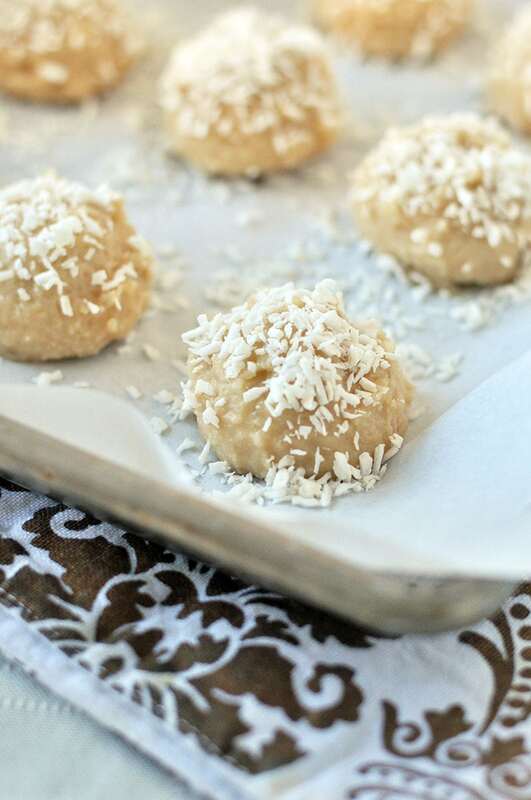 So it’s the perfect time for me to share these Coconut Vanilla Meltaway Cookies. They are divine and simply melt in your mouth. One of the best things about this recipe is that it only calls for 4 simple ingredients! I used REBBL Vanilla Spice Protein Coconut Milk for this recipe. I love that the protein is sourced from peas, pumpkin and sunflower seeds. Most protein drinks contain processed ingredients. Not only are REBBL drinks delicious, but they contain none of the bad stuff. That’s right, REBBL drinks are organic, fair trade, made from real ingredients and full of super herbs like ashwagandha, reishi and maca root. 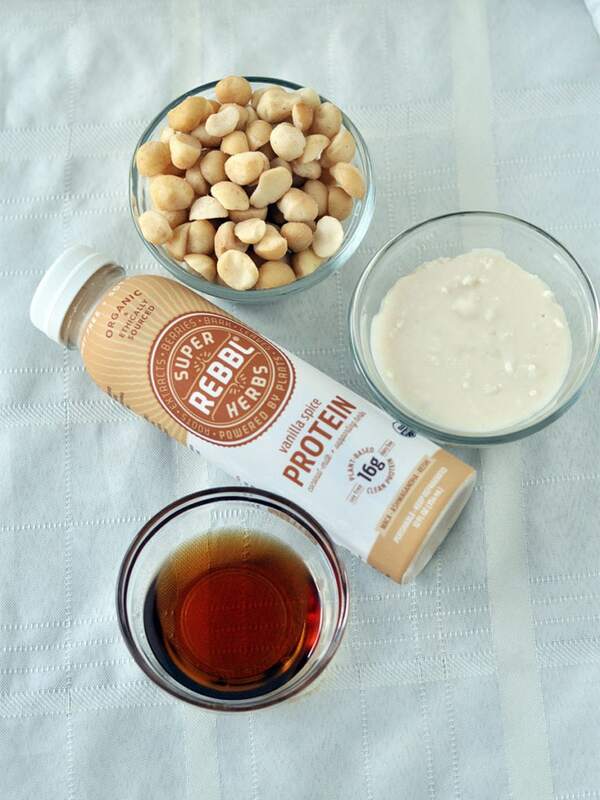 REBBL coconut milk elixirs are also soy free, dairy free, vegan, and gluten free. Two elixirs, the Turmeric Gold Milk and the Matcha Latte, do contain honey, but that honey is sourced by Amazonian bees. On the REBBL website, you can clearly look up each flavor and view the nutritional information as well as the sourcing of the ingredients. I love that! REBBL was born out of a passionate collaboration between global thought-leaders to identify an innovative, sustainable, market-based solution to prevent exploitation in the Peruvian Amazon. REBBL donates 2.5% of revenue to Not For Sale to support regions of the world that are vulnerable to exploitation and human trafficking. So every time you buy a bottle, you, too can take a stand against this global issue. Not For Sale continues to be a key resource for REBBL, conducting risk-assessments of the full supply chain in order to help ensure it remains ethical and transparent. Check out the store locator to find REBBL products near you. A dreamy, melt in your mouth holiday cookie that requires no baking! Vegan, gluten free and grain free. In a food processor, blend the macadamia nuts into a fine consistency. Using a cookie scoop, spoon cookies onto a lined baking sheet. If the batter is a little too soft still you can place it in the fridge for 10 minutes. 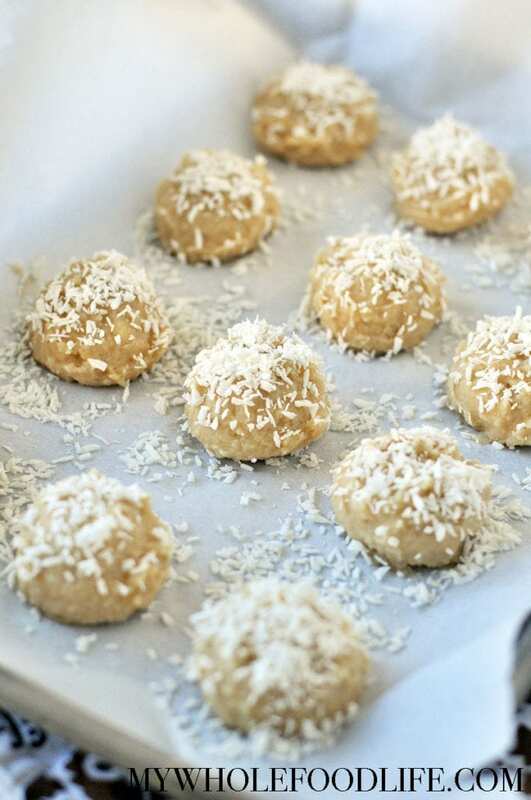 If you choose to garnish the tops, add the shredded coconut once all the cookies are on the baking sheet. Place in the fridge to firm up. About 1 1/2 hours. These should keep in the fridge for several weeks. Enjoy! Thinking of Takeout? Try This Pizza! These cookies look so good! LOVE LOVE the simple ingredients and how BEAUTIFUL they turn out! Can you use another type of liquid protein drink?! I live in a rural area so kind of tough to get certain items?? I think any other vanilla protein drink should work well. This recipe looks amazing! It is just what I need to make for my mom for Christmas. It is so simple, there is no way i can mess this up! Thank you!! I hope you enjoy it. Very interesting recipe idea. Would it work to use coconut milk or a nut milk instead of the Vanilla Spice Protein Drink? I think canned coconut milk should work.